I studied stone-carving at Centro d’Arte Verrocchio (Casole d’Elsa), Arco Arte (Carrara) and West Dean College, near Chichester. I have also studied bronze casting, but currently my main medium is stone. 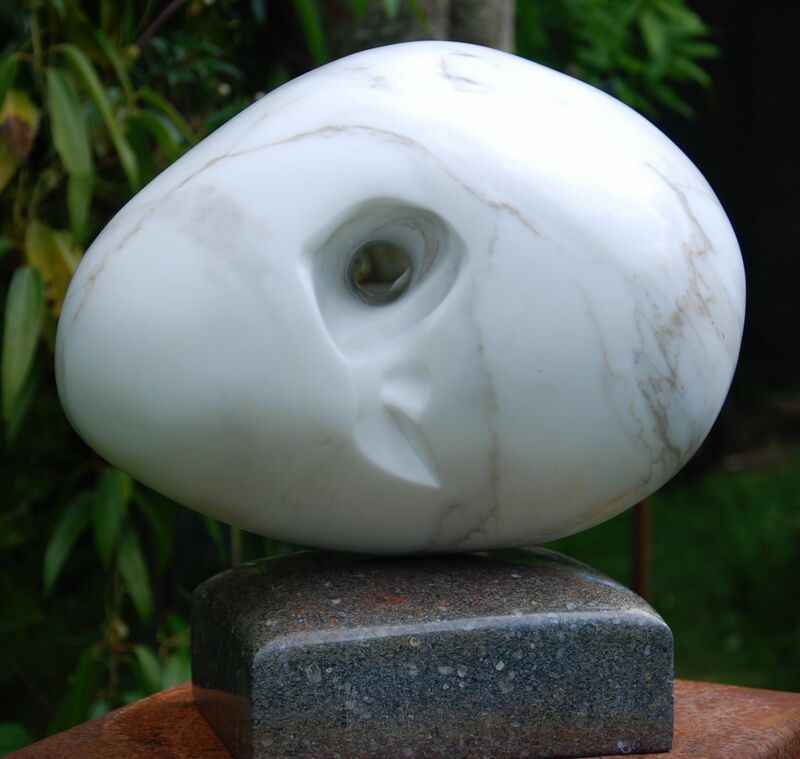 Working in stone, the sculptor is inevitably aware of the long tradition of using this material dating from prehistoric times, but particularly since the Egyptian and classical eras. While there is no conscious imitation of historic styles, the calm persistence of stone informs my sculptures. I work in both figurative and abstract idioms, the abstract often drawing on organic elements. My present emphasis is on abstract works, in which my interest in ambiguity is frequently a theme. A great attraction of stone is the variety of colour and texture, allowing a great range of expression. Among other things, a sculpture is a device for capturing light and shadow. Because of this I pay a deal of attention to line and surface, often working to a high finish.